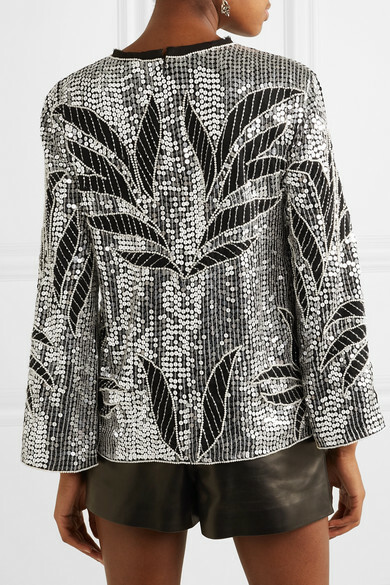 One of Israel's most well-known actresses, Dodo Bar Or began designing clothes so fans could wear her favorite looks – this 'Clara' top epitomizes her glamorous style. 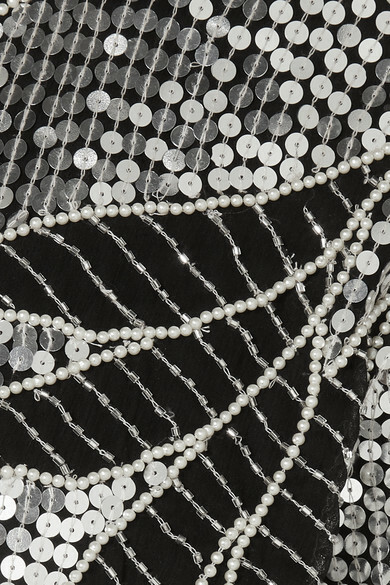 It's cut in a loose silhouette from tulle worked in silver sequins and tiny faux pearls. 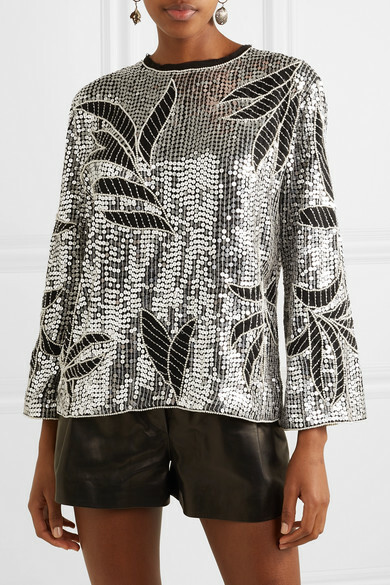 Offset the shimmery finish with leather pants, swapping them for shorts on vacation. 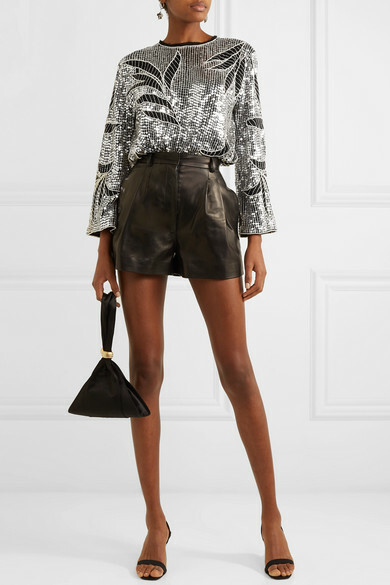 Shown here with: FRAME Shorts, BY FAR Clutch, Alexander McQueen Earrings.